Funimation has announced when they will be bringing Code Geass: Lelouch of the Re;surrection to North American theaters. The subbed and dubbed versions will be landing separately, with the sub coming on May 5, while the dub will be coming between May 7 and May 8. The announcement comes alongside a new key visual featuring the English version of the logo, shown above. 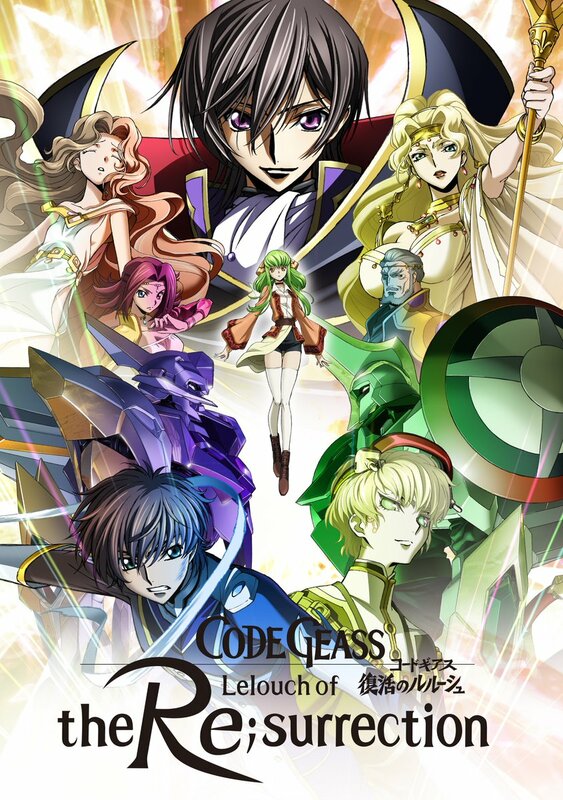 Code Geass: Lelouch of the Re;surrection is the sequel to the Code Geass: Lelouch of the Rebellion compilation film trilogy released throughout 2017 and 2018, which recap the original anime series as well as a handful of new story elements that lead into the upcoming movie. It was first announced back in 2016 as a sequel to the 2006-2008 anime series, alongside the compilation movies.